AT&T, the world’s largest telecommunications company, has just backed out of a deal with Huawei Technologies. According to the Wall Street Journal, AT&T will not be selling Huawei’s Mate 10 Pro smartphones as planned. Huawei Technologies, a networking and telecom company located in China, was expected to announce the agreement reached with AT&T at a Las Vegas trade show on Tuesday. 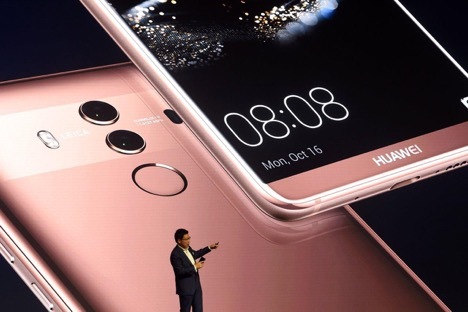 As the world’s third largest smartphone brand, Huawei had looked forward to expanding its global franchise by building its first partnership with a major US mobile carrier. It still remains unclear why AT&T backed out of the deal as both representatives from AT&T and Huawei declined to comment on this matter. However, many suspect that a 2012 Congressional report raised security concerns about espionage related to equipment made by the Chinese company. Huawei has officially denied any involvement in espionage on behalf of China and questioned whether the report was politically motivated. AT&T’s withdrawal definitely marks a setback for Huawei’s oversea expansion. As early as 2012, Huawei's consumer division CEO Richard Yu said that Huawei “needs some time for the US carriers to accept high end [products] from Huawei,” and stated that “The US government is also an influence.” Now, five years later, it looks like Huawei is still waiting for this opportunity.